I find it odd that this is our last weekend in September. We have had record breaking highs in the 90s for a few days now, and before that our highs were in the 80s. Shouldn’t it be fall/winter and snowing by now!?! Trust me when I say that I’m not complaining about the heat; however, the mosquito infestation that has come along with it is killing us. I swear when I run out to grab some produce out of the garden I risk getting West Nile! Ok, maybe I’m exaggerating on that one, but our poor furbutts get covered in mosquitos each time they go outside. How is your fall going? Any heat waves in the other states? On to this weeks menu. This week/weekend I’ve picked easy-to-put-together meals that I know my family will love. I’ve linked each recipe title and picture to the blog/website it came from. Happy Cooking!! New Pin!! Cat Davis at Food, Family, and Finds is a GENIOUS for coming up with this recipe. I can’t believe we have never thought to try something like this in our home before. When I told my husband this our dinner tonight, I swear I saw him start to drool. I’m thinking about using one of my frozen Parmesan cheese rinds in the crock pot with the chicken to give it an extra boost in flavor and maybe dice up some mini bell peppers too. 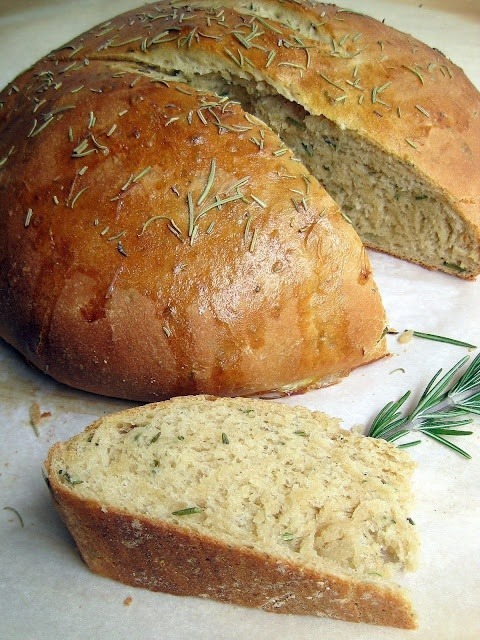 **Recipe Changes** I added 6 chicken breasts, 1 Tbs of sugar, 1 tsp of fresh rosemary, and a rind of parmesan. I’m thinking about adding fresh thyme next time. My husband and son have been fishing nonstop, and they have brought home a ton of fish to cook up. 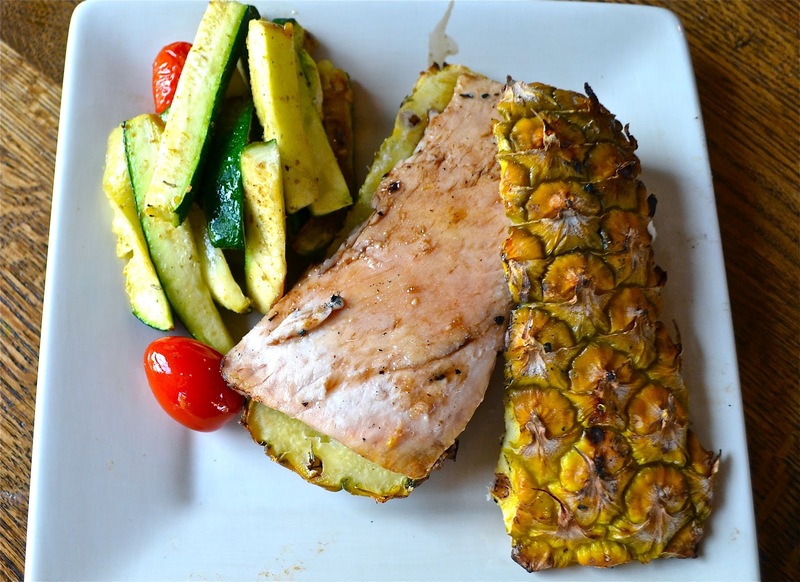 I love the idea of infusing pineapple flavor into the fish. I’m going to make a glaze using soy sauce, brown sugar, sriracha sauce and reduce it on the stove. Then, you can brush the glaze on the fish once it is finished. Check out Make the Best of Everything for this recipe and more! This recipe comes out of Rachel Ray’s Look and Cook Book, and I HIGHLY recommend you add this book to your collection. She has so many wonderful, healthy, and clean recipes for you to choose from. Plus my son loves the recipes in the book too. 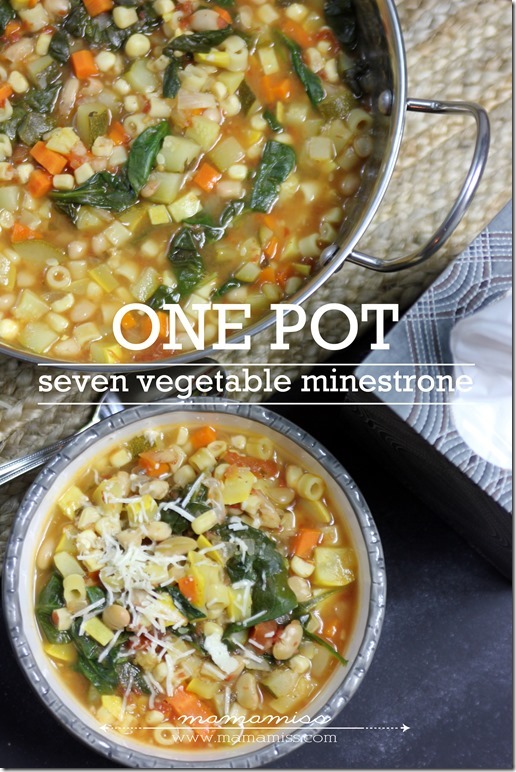 You’ll love this recipe for the fact that it only uses 1 pot to cook everything, and is easy for even the beginner cook to put together, and will feed a good amount of people. Food Network has kindly posted this recipe on their website too, so click here to check it out. New Pin!! I love anything relating to Thai food, and when I found this recipe I started drooling immediately. 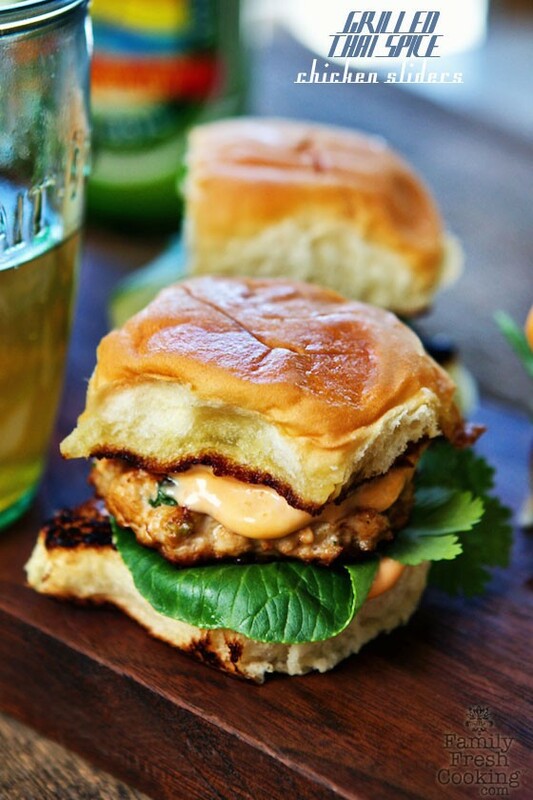 I’ve made several recipes from Family Fresh Cooking, so I know I will love these sliders! 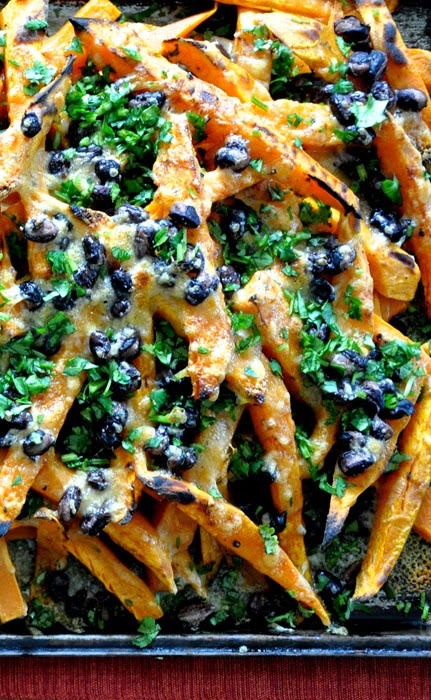 I’m making Sweet Potato French Fries with Smoked Gouda and Black Beans as a side. I’m cheating and using frozen organic sweet potato French fries for this recipe to cut back on meal prep time. This entry was posted in Menu, Recipes and tagged crock pot chicken parmesan sandwich, grilled fish on pineapple bark, menu plan, on the menu, rachael ray super scampi, thai chicken sliders on September 27, 2014 by fromfltond. 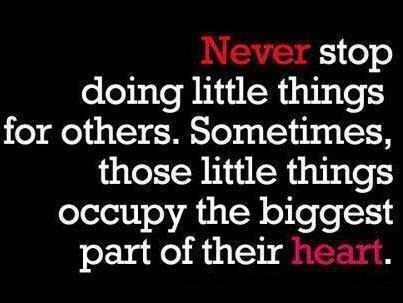 Had to share that little quote with ya. I’m thinking I need this quote on a workout tank for the gym. I know it would make everyone laugh. Thought I would share the outcome of yesterdays ravioli lasagna with ya. It was delish! This recipe is a definite in the “make-again” department. Plus it was fast and easy to put together. I’m thinking about switching out the chicken sausage next time with garlic roasted chicken breasts that I can shred up. Definitely make this recipe. It is perfect for those days when you don’t want to come home and have to spend a ton of time cooking in the kitchen. This entry was posted in Menu, Spinning Profiles, Workouts and tagged indoor cycling, ravioli lasagna, Spinning, spinning profile, workout on September 22, 2014 by fromfltond. Well, it has been ages since I have posted a weekly menu for our family. Sadly we have just been too busy to have a regular menu. It seems like we are just going nonstop during the week, and my husband has an insane work schedule, so we haven’t been able to sit down for a family meal more than once a week. Things have calmed down for this week, so I’m FINALLY getting a chance to put a menu together for the week! I’m even trying out a few new recipes this week. Woohoo!! I feel like I’m being a good mom and wife this week. I’ve planned our menu around the produce that is still coming out of our garden in abundance, and the food that came with our Bountiful Basket. Hence, why everything seems to have a ton of veggies in it. So, if you are looking to get a few servings of veggies in, I highly suggest trying some of these recipes too! I should also note that there is a 90% chance that a side of roasted or grilled zucchini will be served as a side veggie for most of the meals. Yet again, my husband insisted on planting 5 zucchini seeds, and he was oddly shocked that all 5 seeds produced 5 huge zucchini plants. Ugh. Each day’s recipe title is linked to the website that has the recipe, so click away! We absolutely love this recipe in our house, and it is a great way to use some of our peppers and onions we have a plethora of. My son even gobbles this down…Well, after he picks out the jalapenos. The only thing I did different from the recipe was to cover the top with queso cheese at the end when you add the cheese sauce you made. It is great served over rice. 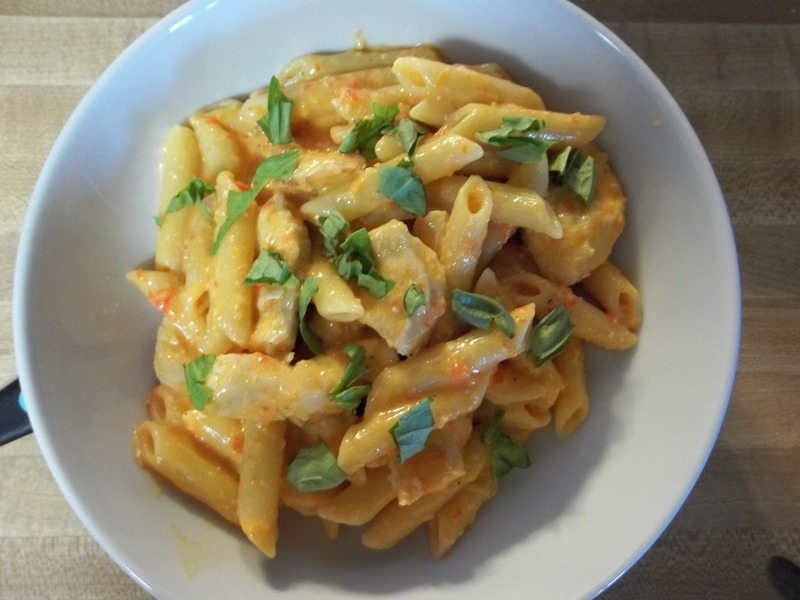 I highly recommend you check out this recipe at the KaoticKitchen’s blog. NEW Recipe!! 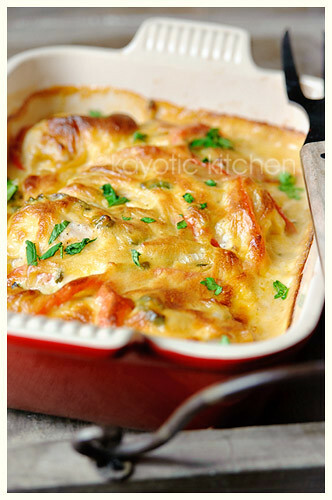 I’ve had my mind set on making this recipe for awhile now, and it is in the oven as I type this menu up. I did make a few changes to this recipe. 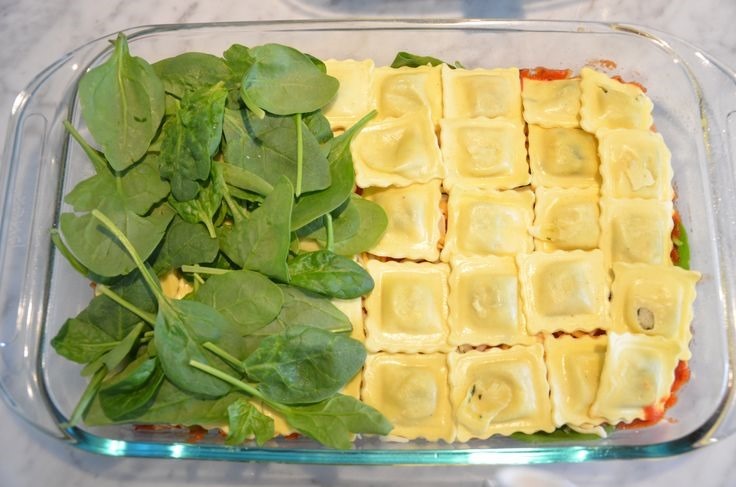 Instead of sausage ravioli, I used 4 cheese ravioli, and I replaced the chorizo with sweet Italian chicken sausage. I also topped the lasagna with fresh mozzarella and covered before putting it in the oven. My kitchen smells heavenly Italian as I type! 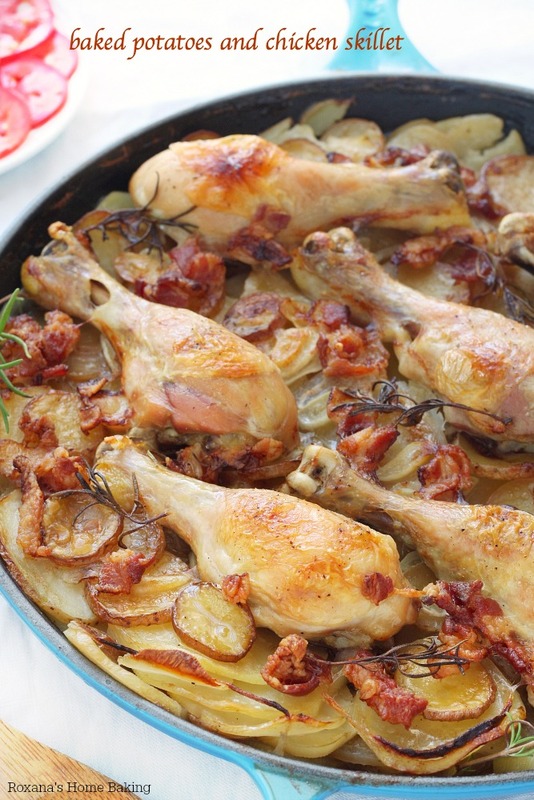 Check out this recipe at Urban Country Style. NEW Recipe!! My wonderful friend Natalie shared this Slow Cooker Tosca Zuppa Soup recipe with me. She swears it is the bomb, and I totally trust her opinion on anything food related, so I’m making this yummy looking soup for the first time this week. I plan on adding shredded cooked chicken breasts in place of the bacon, and some gnocchi I found hiding in our freezer. I’m a little upset that this weekend was the first time that I was on the GetCrocked website. Jen’s recipes look so yummy and easy to make. I’ve already Pinned a few more to try out. Tuesday: Leftovers…Something tells me we may have a few. NEW Recipe!! Told ya I was finally getting to a back log of new recipes to try. This is the day that I get to use up some of our garlic, red potatoes, and onions that have come out of our garden, and I have a ton of potatoes (so thankful they store well in a cool place). This was our first year planting potatoes, and we had a bumper crop! Totally planting them again next year. On to the meal…I found this recipe on Pinterest (of course). I’m going to finally break out my cast iron skillet that is over a foot in diameter. Still not sure why I bought it a few years ago, but I’m gonna finally use the bugger. I’m planning on using chicken breasts and thighs instead of the chicken legs. We just need more meat in our house, and little chicken legs just aren’t enough sometimes. Thursday: Breakfast for dinner or Leftovers. I’m leaving it up to my son and husband, since I’ll be teaching yoga during dinner time. If you have a garden you will totally understand why I’m making this soup. If you don’t have a garden…Make this soup anyway. It is super healthy and yummy! I came across this recipe last winter, and my husband fell in love with it. I’ve made it several times, and the last time I made it I added cooked shredded chicken breasts for extra protein. It was yummy! Check this recipe out on Mama Miss’s blog. This entry was posted in Menu, Recipes and tagged baked potatoes and chicken skillet, chicken jalapeno and cheddar casserole, menu plan, ravioli lasagna, seven vegetable minestrone soup, slow cooker, slow cooker tosca zuppa soup on September 21, 2014 by fromfltond. How was your week in the workout department? Monday: Per my son’s request we are having Spaghetti and chicken. 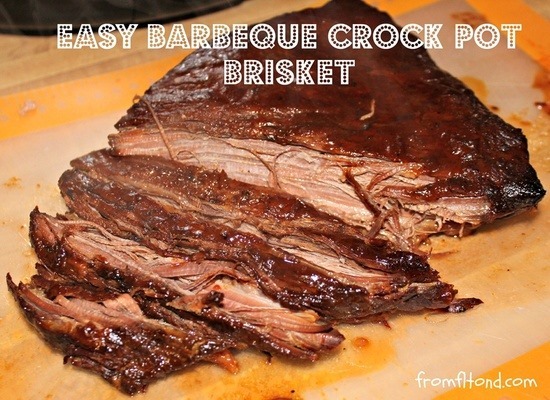 Tuesday: Passover starts this day, so I’ll be making my Crock Pot Barbeque Brisket per tradition. Thursday: This day has turned into our weekly “breakfast-for-dinner” night, so I’m just going to stick with it for now. 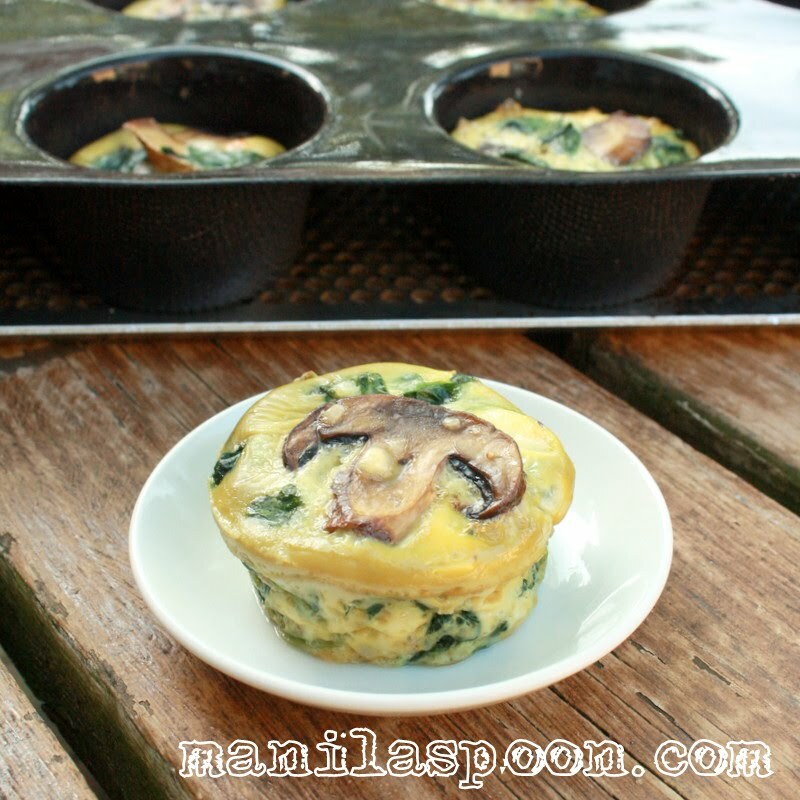 I’m going to make Spinach Quiche Cups, to go along with fruit and yogurt. 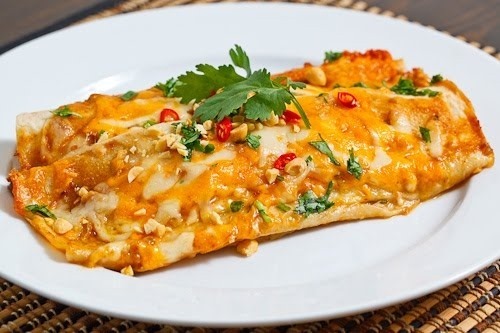 Friday: Thai Spicy Peanut Chicken Enchiladas from Closet Cooking. 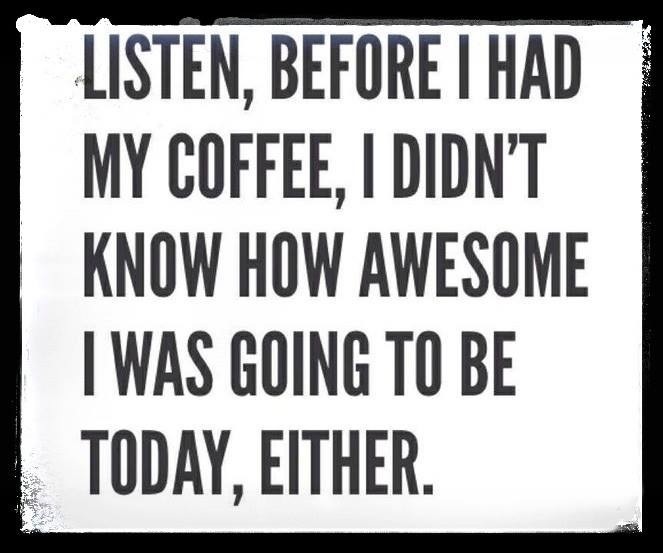 My friend, Andrea, pinned this earlier in the week and it caught my eye. I’m looking forward to making it as my new “pin” of the week to try. 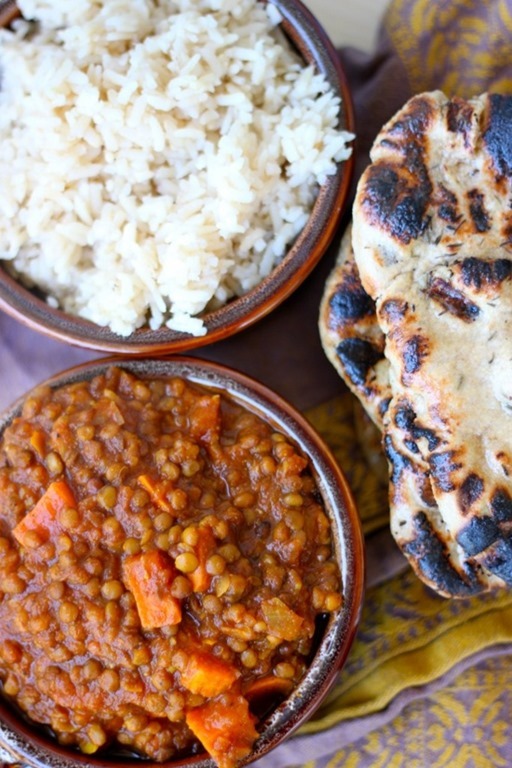 Weekend: Crock Pot Indian Spiced Lentils from The Diva-Dish. I’ve been craving Indian food like crazy lately. Sadly there are no Indian restaurants anywhere near my home, so I’m going to have to make my own! This entry was posted in Fitness Challenge, Menu, Recipes, Workouts and tagged crock pot brisket, crock pot indian spiced lentils, spinach quiche cups, spring bootie buster challenge, thai spicy peanut chicken enchiladas on March 24, 2013 by fromfltond. Friday: 60 and 30 min spinning classes (taught 2 classes), 30 min stretching, 30 min upper body weights with Rita. On to this weeks menu…What are you cooking? Monday: Rotisserie chicken with roasted root vegetables and Cheesy Zucchini Quinoa from Running to the Kitchen. 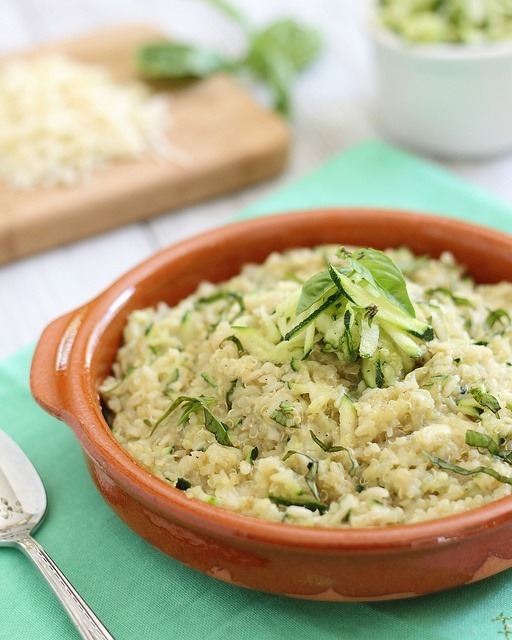 The quinoa recipe is my new “pin” to try this week. Tuesday: I had the best chicken bruschetta sandwich last Friday, and I’m craving more! Therefore, Grilled Balsamic Bruschetta Chicken is back on the menu again. Thursday: Breakfast for dinner!! Blueberry Greek Yogurt Pancakes from Recipe Girl. This entry was posted in Menu, Recipes, Workouts and tagged ab workout, blueberry greek yogurt pancakes, cheesy zucchini quinoa, creamy roasted red pepper pasta, grilled balsamic brushetta chicken, spring bootie buster challenge, workout challenges on March 17, 2013 by fromfltond. On to this upcoming weeks menu!! Here is what we will be having! Monday: I never made the chicken enchiladas that I had on last weeks menu, so it is on this week’s menu. 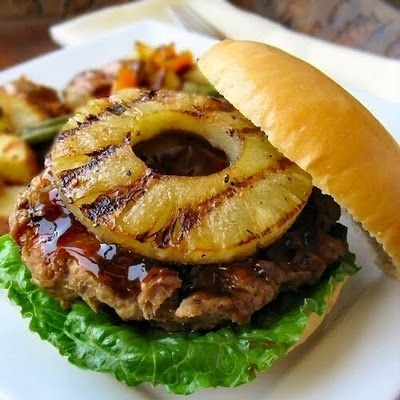 Tuesday: Teriyaki Turkey Burgers With Grilled Sesame Pineapple from The Other Side of 50. This is my one new “pin” recipe to try this week. Friday: Homemade Pizza Night! I’ll make up some pizza dough, and my son and I will create our own pizzas! This entry was posted in Fitness Challenge, Menu, Recipes and tagged pizza dough recipe, rosemary olive oil bread, spring bootie buster challenge, teriyaki turkey burgers on March 10, 2013 by fromfltond. I wanted to start this post off with pictures of Rita’s Burpee Mile, and how it all went, but I sadly left my camera at the gym. Can you believe it!?! I’m not happy with myself, because there are some great pictures, and Rita did an amazing job. I’ll have my camera back and a write-up of the Mile for you on Tuesday! This morning: I’m making the World’s Best Blueberry Muffins, and they are the BEST EVER!! I already have all the ingredients, and the blueberries were on sale, so I figured they would be a nice treat this weekend. On to this weeks menu. Sadly my husband was affected by the recent government sequestration that hit a lot of government workers, and he has furlough time now. In the interest of saving money, my goal is to use the food in our house and only have to shop for produce this week. We have a lot of meat in our freezer, so I know this is doable. Monday: Chicken Enchiladas with Spanish rice and corn. This is my own enchilada recipe, and I’ll do my best to get some pictures and type up the recipe for you this week. 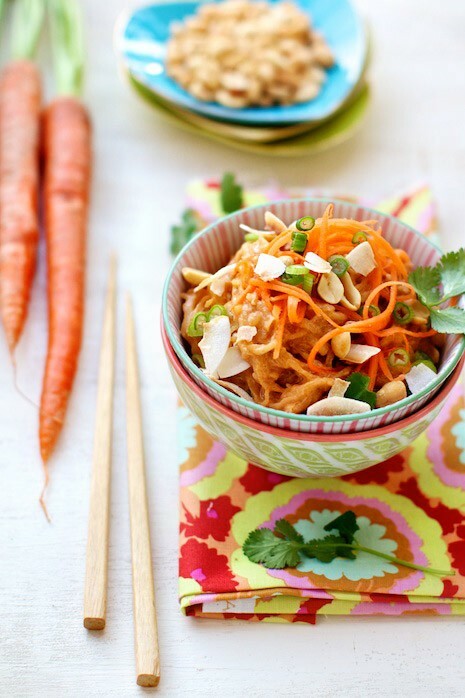 Tuesday: Spaghetti Squash Noodles with Thai Peanut Sauce from Family Fresh Cooking is my new “pin” recipe to try this week and it has me intrigued. The recipe looks delish, and I’m always looking for a healthier or cleaner version to my favorite Thai meals. I think I will also add some shredded baked chicken breasts for more protein. 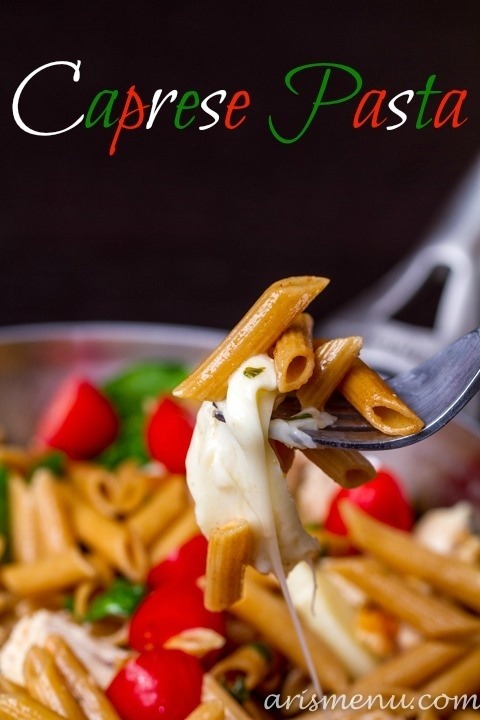 Thursday: Caprese Pasta from Aris Menu. This just screams yummy! Saturday: Italian Wedding Soup…I make my own using ground turkey breast for the mini meatballs. 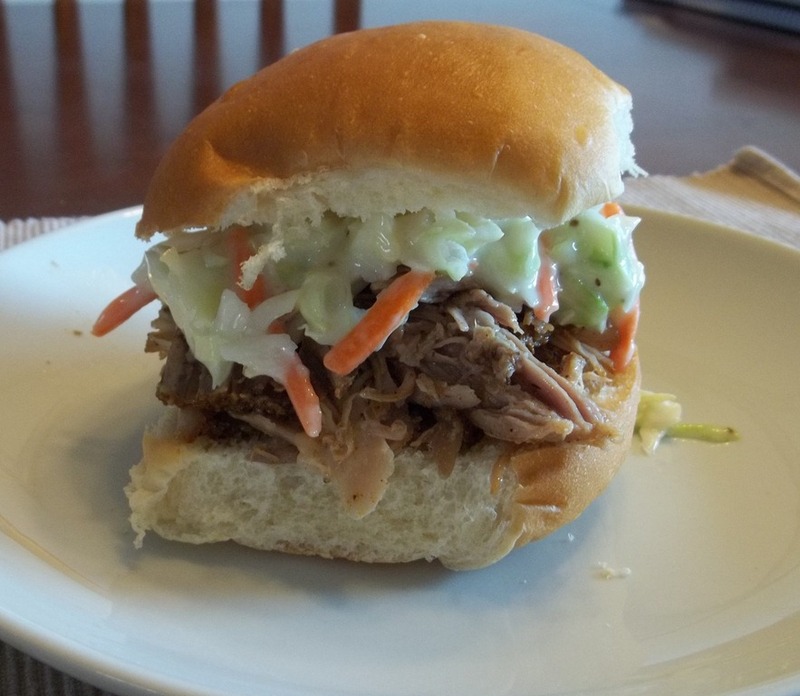 Sunday: We are having company over, so I’m thinking my Crock Pot Pulled Pork or grilling hamburgers and hot dogs. 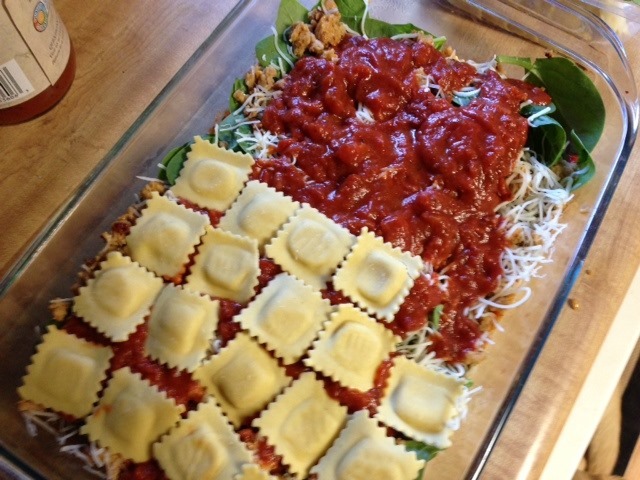 This entry was posted in Menu, Recipes and tagged caprese pasta, crock pot pulled pork, menu plan, spaghetti squash noodles with thai peanut sauce on March 3, 2013 by fromfltond.